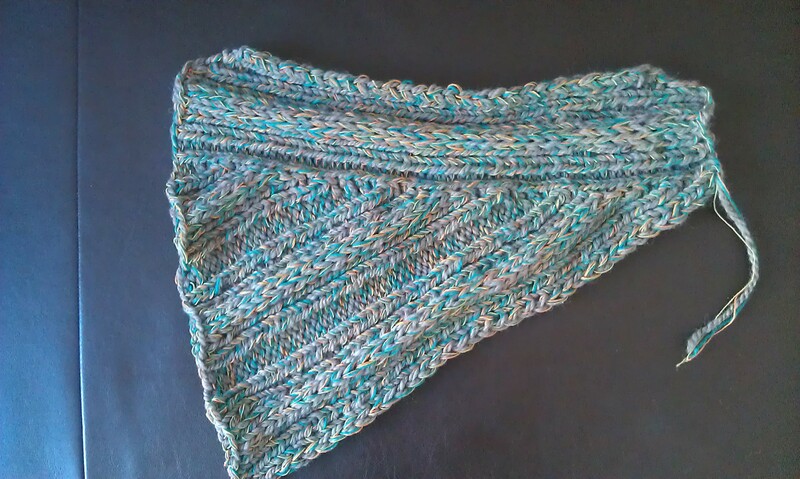 I got further on my quest to reknit the Hunger Games Cowl. And many people are also looking. 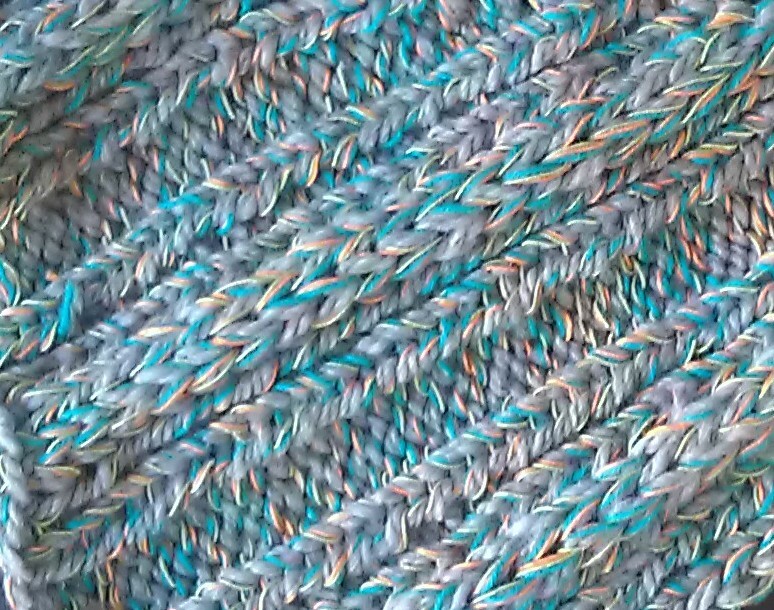 There is even a thread on ravelry for it now! After looking again at my scribble of the cowl parts from part 1 I thought: well why should I knit it in three parts? Part 1 and 2 could go together. And now look: Less sewing and doing that makes it so much easier to knit! And then I went shopping yesterday. I got a needle in size 10 (US 15) and now look, the fabric is far softer. I also adapted the pattern a little bit. Instead of knitting k4, I knit k1, sl1, yo, sl1, k1 while on the back row I purl all stitches and let the yo slip again. Like this I create more depth in the ribbing. 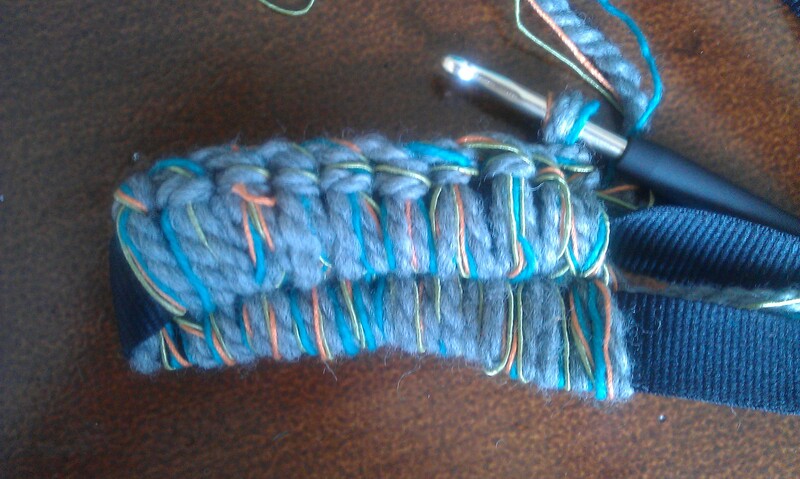 And then I tried the idea with crocheting around a cord for part 3. I didn’t knit around a round cord but around some key chain cord I had left over and look at the effect! I think this could be it! What do you think? Could this be the beginning of the Hunger Games Cowl pattern? UPDATE: part 3 andpart 4 are online as well. This entry was posted in Knitting & Crocheting and tagged Cowl, Hunger games cowl quest, Knitting, Pattern by kathatravelling. Bookmark the permalink. Oh, oh! I can’t wait! I know who I could make this for! Please keep us updated. It seems to work out! I might have to make a second one to really fix the pattern but with that size needles it knits up super fast. Maybe you would like to test knit the pattern once it is done? Omg – that would be too cool!